Earth to Echo beamed down to Blu-ray and DVD October 21st! 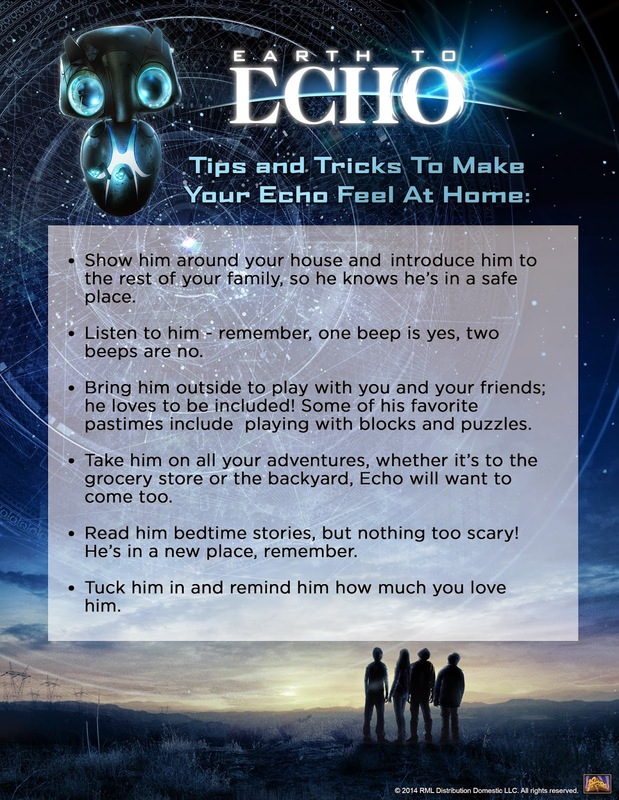 Earth to Echo is a tale told through the eyes of Tuck, Munch and Alex, a trio of pals who make an out-of-this-world discovery. The best friends venture out of their neighborhood to find the true meaning of friendship. After receiving signals on their phones, they meet Echo, a small, but amazingly energetic, alien trying to make his way back to his home planet. As they race to help their new friend, the boys will discover that little Echo has touched their hearts in unexpected ways and changed their lives forever. 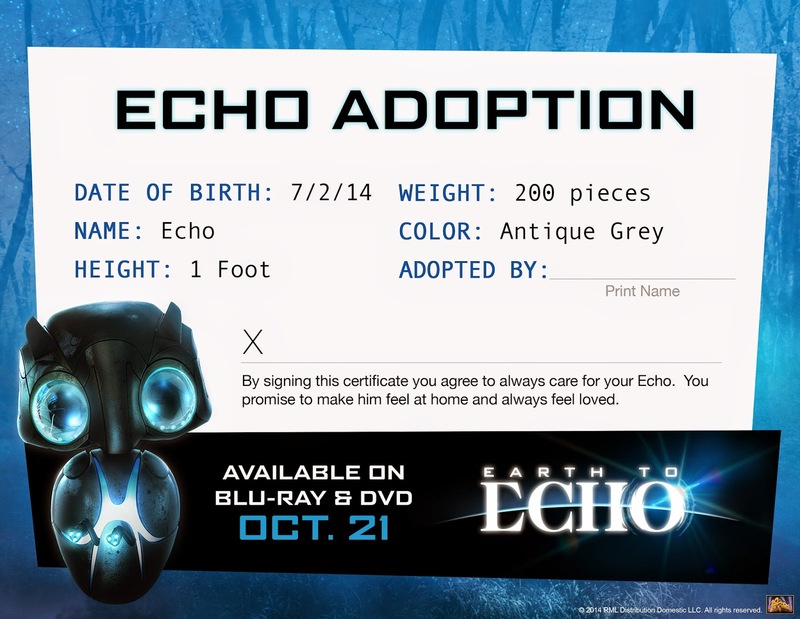 My family was warmly welcomed with Echo dolls and took them in for adoption. Echo spent lots of quality time and made many happy memories with us. Echo went and visited my mom in the hospital while she was there for an extended stay. He helped her feel better. Once in a while Echo would take the wheelchair for a spin in the hospital hallways. He always made it back to the room before he got caught! Echo received lots of hugs and cuddles from the little kids...and the big ones! Echo helped make pumpkin pies. Eight of them to be exact! He only ate one. Echo was almost eaten by a pack of dinosaurs but was quickly rescued before complete havoc ensued. Echo has been keeping plenty busy and can't wait to see what the next adventure brings!